incl. 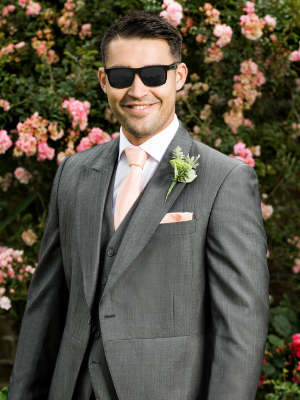 Jacket, Trousers, Standard Waistcoat, Slim-Fit Shirt, Neckwear & Hankie. 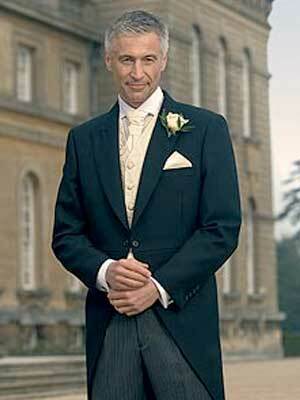 included: Jacket, Trousers, Blue or Grey Tweed Check Waistcoat, Slim-Fit Shirt Blue of Grey Tweed Neckwear & Hankie . CLASSIC BLACK 3 3-piece package of black jacket, striped trousers and dove grey waistcoat. 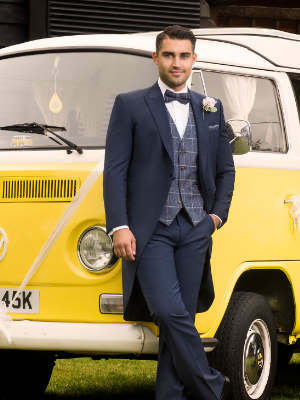 All the above outfits are available in sizes 20” to 60” chest and come as a complete package of Jacket, Trousers, Waistcoat, Shirt, Neckwear, Pocket Hankie and Cufflinks.